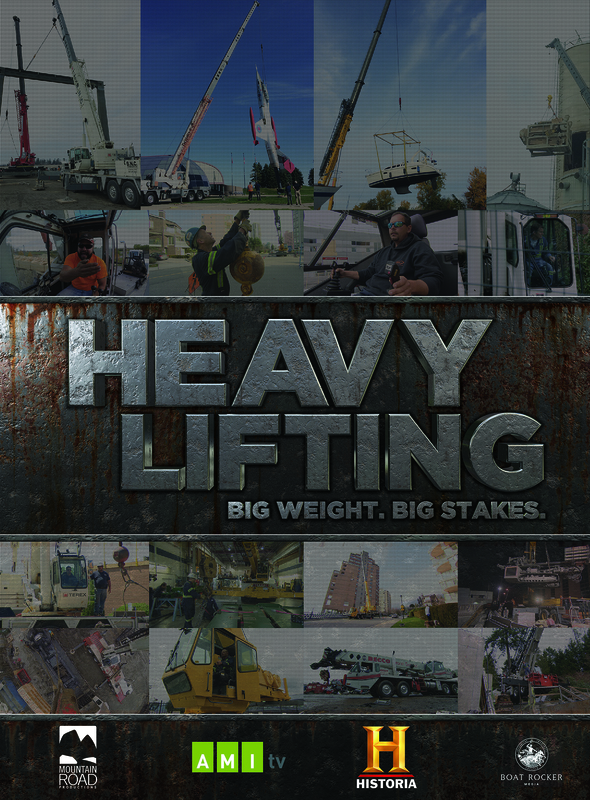 Heavy Lifting is the new series that follows the intense lives of mobile crane operators as they make their living performing precision lifts. Day in and day out, these operators hoist massive loads and one mistake could be deadly. lt takes precision, control and single-minded focus. And each job presents unique dangers and challenges which these operators must deal with on the fly. No two lifts are ever the same. This ten episode series will air on Corus’ French-language specialty channel Historia premiering on Thursday, June 1 at 6:00 PM/ET under the title Surcharge maximale. The English version of the series will launch Friday, September 15 at 9:00 PM/ET on AMI. Please follow us on social media for broadcast updates.